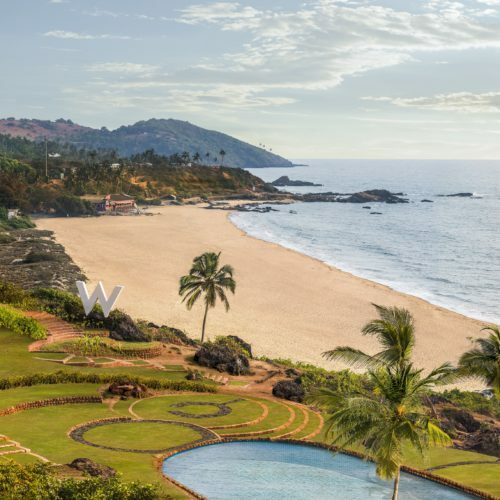 The hotly anticipated arrival of the W Hotels has finally opened in India with their first hotel aptly opening in the party resort of Goa. The hotel is set over 25 acres, located in north Goa at the foot of the charming Chapora Fort. 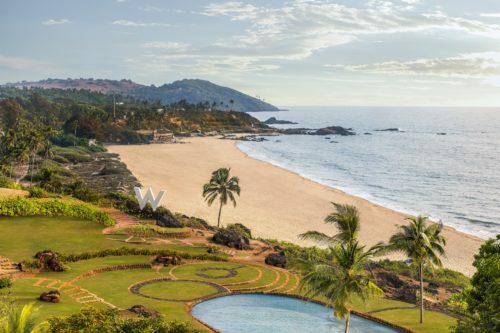 This chic boutique hotel has a unique beach front location off what was the original hippie hangout of Vagator beach. 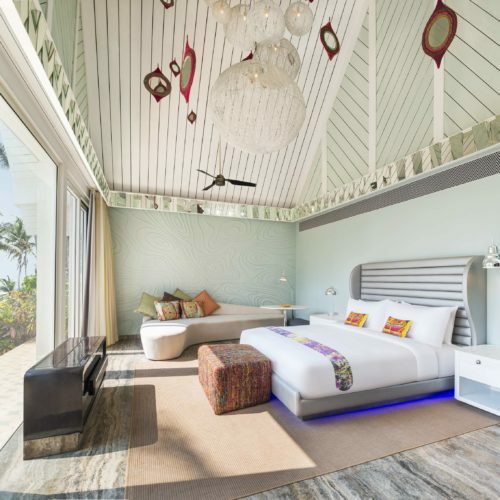 The 160 rooms, chalets and villas are spread across the coastal setting and each have private sit outs, scenic views, sleek contemporary furnishings and light airy bathrooms. This hotel really is a destination in itself with its sophisticated restaurants, electric lounges, cocktail bars and of course the signature vibes that set the mood throughout the day. The Pan Asian restaurant, Spice Traders offers sumptuous views and all-day dining, whereas The Kitchen Table provides modern interpretations of Indian and international flavors alike. 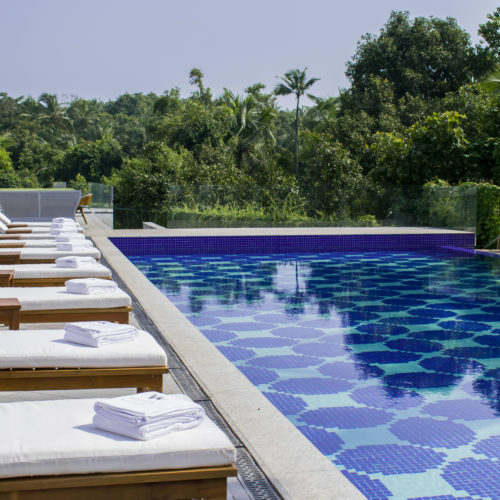 Along with the infinity pool and high tech gym the hotel boasts India’s very first Clarins Spa. 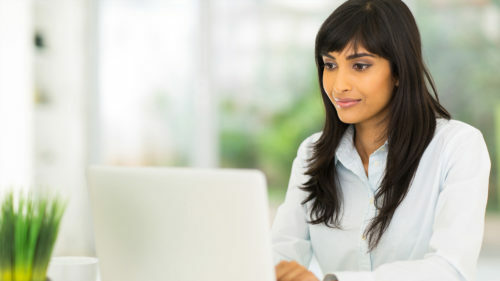 Finally, the hotel will of course offer its iconic Whatever/Whenever® service that promises to deliver whatever they want, whenever you want it.